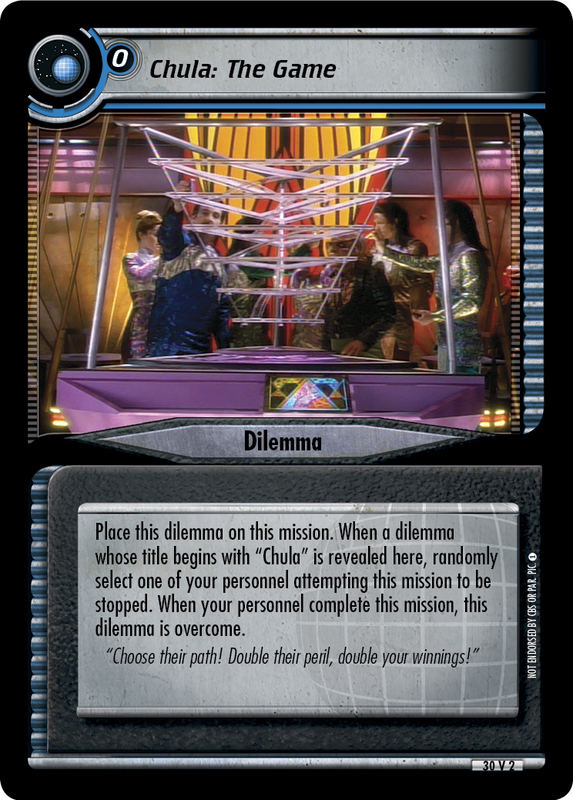 Unless you have 2 Diplomacy and 2 Geology or Cunning>36, all your personnel are stopped and, if there are no other dilemmas on this mission, place this dilemma on this mission. 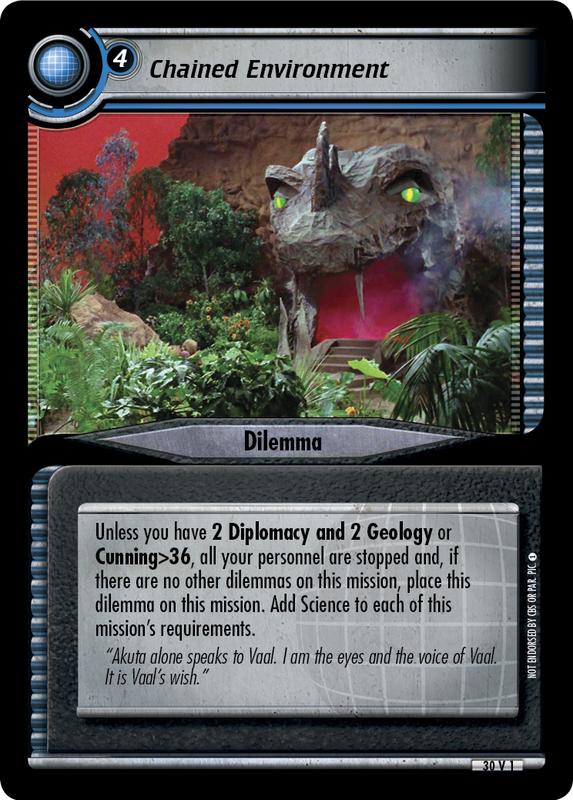 Add Science to each of this mission's requirements. "Akuta alone speaks to Vaal. I am the eyes and the voice of Vaal. It is Vaal's wish." Image Source: The Original Series: "The Apple"